Last weekend, into the wee hours, games were made. 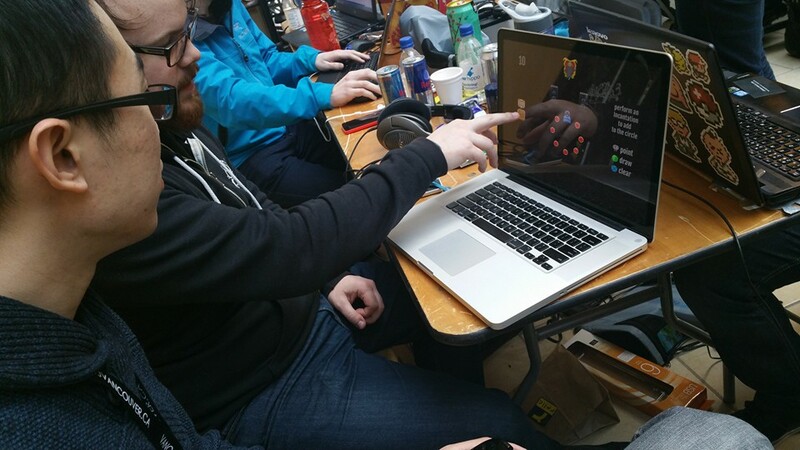 The Global Game Jam, is the largest event of it’s kind. It’s global! These “jams” are events where large groups of people gather in a central place to destroy the internet… I kid. Game Developers of all shapes, sizes, and backgrounds gather to make a game within a short time-frame. There are rules. You only have 48 hours, and everyone gets the same theme! The given theme sounds scarier than you might imagine. They’re generally pretty vague, and the ideas that are turned out from the teams of devs are surprisingly varied. It’s interesting to see how different people interpret a single idea. 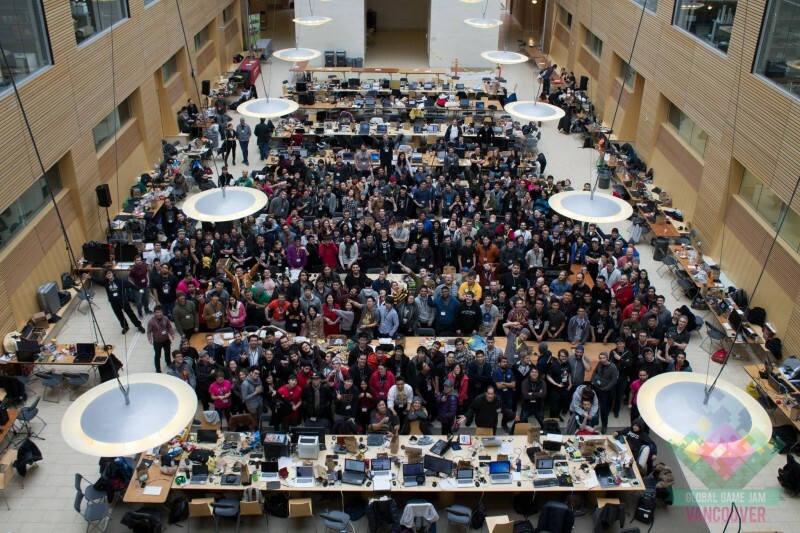 Vancouver’s Global Game Jam, is a sight to be seen. 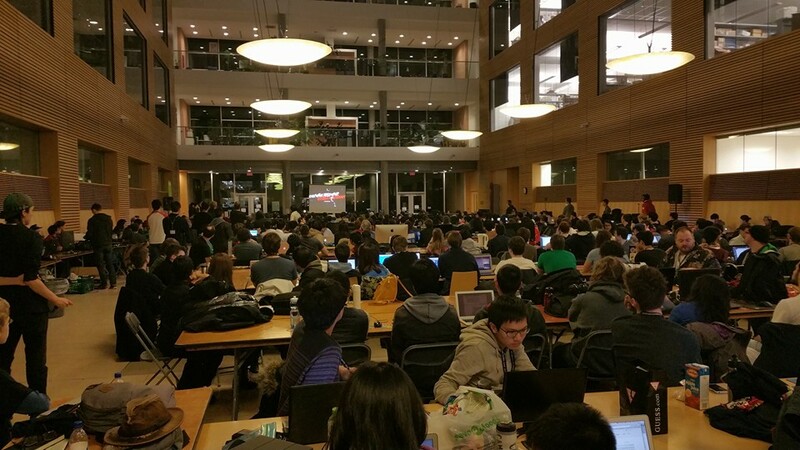 They (those jamming) take over one of the biggest foyers you’ve ever seen — located in the health science building at the University of British Columbia — where you watch hundreds of people gather. It’s amazing. On Friday, everyone arrives with however much gear (computers, tablets, devices, sleeping bags, sustenance etc.) they desire, and await the announcement of the theme. Most have prepared teams ahead of time, some hope to find new friends/jammers when they arrive. There is seriously little in the world that cultivates such an environment of creativity. Such an accurate statement. A mission that is executed well. Friday came and went…. the excitement, and electricity (in both senses of the word) was palpable. Right away, the room is abuzz with whispers, voices, pitches. The tornado of ideas flying all about you is dizzying. But one by one, you can capture the looks on the faces of groups as they hit the mark on their game idea. So many friendly faces. I knew such a large amount of people in that room, and that made me happy. Better yet, I left there knowing far more! And I think that’s what this kind of thing is largely about. Nothing brings people together like art. Whether you’re weaving lines of code, creating pixel-art, or laying down amazing bass-heavy doom-synth soundtrack loops, you’re in a room filled with like-passionate individuals. We can’t think of a better reason to get very little sleep over a weekend. It is extremely satisfying to see the impact that local game studios are trying to have on the event. If anything, it’s an amazing place to spot emerging talent. All of the major sponsors for the Vancouver Jam this year were Vancouver Game Studios. Including us, who threw the kick-off party for all jammers to attend, at the Portside Pub in Gastown. Plenty of East Side Games people took part, and it was great to see. Next year, we hope to have an even bigger presence, and more support to offer the group of game developers, and volunteers. Speaking of amazing people, a huge cheers to the volunteers, and the folks who spent their entire weekend (and tons of effort prior) facilitating this amazing experience for so many of us. Some of these amazing people have put in months of work. For an even more intimate playable experience, FULL INDIE this month is going to showcase all of the Global Game Jam games made in Vancouver. So make sure you RSVP on the meet-up, and come find anyone from ESG and say hello! See you next year GGJ!